Monte’s has built a great relationship with Stooksbury Towing and want to share their services with you. 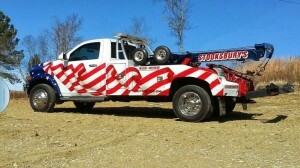 Stooksbury Towing your #1 source for Towing in and around Sevierville Tn. We are a professional Towing company serving all of Sevier County and surrounding area. We specialize in Auto Towing, Light & medium duty towing and motorcycle towing. We provide Local and Out-of-town tows and hauling. Give us a call for a quote and for all your Towing needs! Towing & Roadside Service Our Roadside Service includes tire changes, jump starts, fuel and water delivery. We provide 24-hour quick response at competitive prices. We provide flatbed towing both long distance and locally. Stooksbury Towing & Recovery maintains a skilled staff to answer all your questions. We have built our reputation on our commitment to providing you with quality towing & Roadside Service in and around Sevierville Tn and surrounding areas. NO JOB TOO BIG OR TOO SMALL. If you need them- 865-429-4090.